It’s time for us to take our seasonal break and wish the best of the season to all our readers and posters. Next year will be challenging for health care activists as hospitals continue to shed services to balance their budgets, home care faces unrealistic and high expectations over relatively modest funding increases, bed shortages compound wait times in long-term care and all health providers try to find ways to better work together. If you are new to our BLOG, or are an occasional viewer, you may have missed some of our postings throughout this year. 1. In recent days we have been unpacking the contents of the Auditor General’s chapter on long-term care in his 2012 annual report. Much of Ontario’s bed shortage problem is based on the Health Minister’s insistence on holding the line on opening new beds, noting Denmark’s success in diversifying long-term care options. But Denmark still has more nursing home beds per capita than Ontario and has made massive investments in home care. To read more, click here. 2. When the province introduced its new Long Term Care Act, it was to include stepped up inspection. Problem is, they never hired enough long-term care inspectors to get the job done. Most Ontario nursing homes have not had a thorough inspection since 2009, and some may never see a detailed inspection. To read more, click here. 3. Norma Gunn won a disability rights award this year from the Ontario Federation of Labour for telling her own story about being assaulted at the Ontario Shores Centre for Mental Health Sciences and coping with the subsequent post traumatic stress disorder. A psychiatric nurse at the Whitby-based hospital, Gunn has been at the center of a struggle to reduce incidents of violence at the hospital. In recent days we’ve learned that CEO Glenna Raymond is stepping down in April. Will it be an opportunity for the hospital to press its own reset button on this issue and repair its relations with the staff who work there? To read more, click here. 4. This spring we were in Thunder Bay for a rally around the closure of the Canadian Blood Services plasma donor clinic. Canadian Blood Services was created following the tainted blood scandal of the late 1980s and the subsequent inquiry by Justice Horace Krever. As we probed the decision by CBS to close down the Thunder Bay donation centre, we began to wonder if all the lessons from the inquiry were truly learned. To read more, click here. 5. One of our most popular stories this year was a posting about corporations stashing away record amounts of “dead” cash and the rich squirreling away billions in tax havens while insisting on further tax cuts. 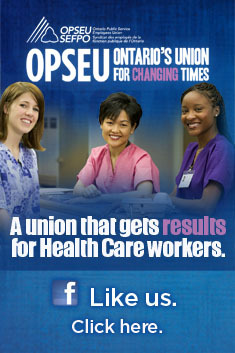 The impact is juxtaposed against a backdrop of hospital cuts across Ontario as the province claims it is broke. To read more, click here. 6. This was the year that P3s (Public Private Partnerships) came back into the news. This summer we were reminded of how bad the situation is in Britain, the birthplace of these schemes. These so-called PFIs — Private Finance Initiatives — are saddling generations of Britons with a mountain of debt. Worse still, the actual value of these projects is about half the size of the accumulated debt, raising questions about value. Ontario represents more than half of such P3 projects taking place in Canada. To read more about the British experience, click here. 7. Ontario is the only province where the ombudsman does not have jurisdiction over the health sector. In BC the ombudsman has made significant contributions to staffing issues in that province’s long-term care homes. Why not here in Ontario? Click here. 8. What would Diablogue be without its bad hospital food stories? Truly if there is one issue that galvanises everyone — including hospital administrators concerned about patient satisfaction scores — it’s bad hospital food. Now the evidence would suggest it’s about more than just tasteless taters and mountains of wobbly Jello. Click here for more. 9. It’s a catch-22. We criticize much that takes place within our public health system. Then we defend the hell out of it when someone suggests we should replace it. This post reminds us of what it is we are fighting for. Click here. 10. Another of our more popular posts this year was the analysis of how former bank executive Don Drummond has skewed his economic projections to make it look like Ontario was in an even worse crisis than actually existed. To what end? Click here. See you all back in January! The Workers Health and Safety Centre, the Durham Labour Council and the Ontario Federation of Labour has honoured OPSEU’s campaign for workplace safety at Ontario Shores Centre for Mental Health Sciences with two awards. Local 331 President Yvonne Lewis has won her regional health and safety award for her tireless advocacy on behalf of staff at the Centre. Norma Gunn has won the OFL’s disability rights award after sharing the story of her struggle with post-traumatic stress disorder. Norma was the subject of a recent video by Operation Maple. Ontario Shores was fined $37,500 in September after a worker suffered a serious injury while cleaning ventilation hoods in the kitchen. The hospital is also under major investigation by the Ministry of Labour following numerous complaints about workplace violence. Lost time injuries are almost double the rate of the Centre for Addiction and Mental Health, and total paid sick time hours are higher than the other three major stand-alone psychiatric hospitals in Ontario. The hospital is beginning to respond to concerns raised by Lewis, Gunn and others. A number of recently announced initiatives are welcome. Some appear to have been prompted by Ministry of Labour orders and suggestions. The awards will be presented at a ceremony in Port Hope on November 15.